on Austin Blvd. in Island Park. Times are approximate- Schedule subject to change- Seating Limited to 200. 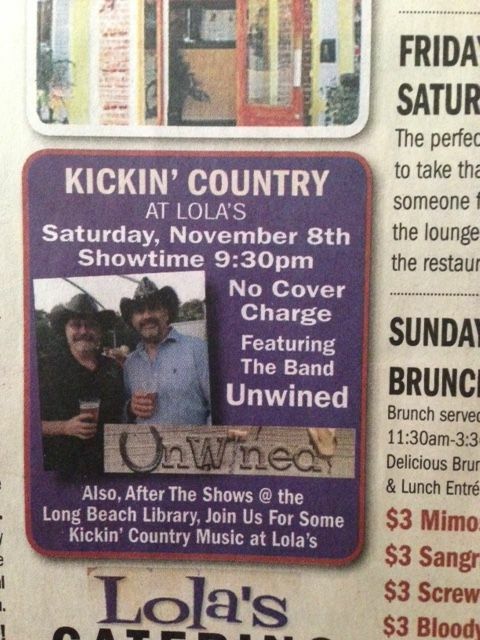 Hope to see you out dancing soon! Known for their live performances, which have been described as "Acoustic Cool" and "Urban Folk", SMALL TOWN SHEIKS easily navigates the musical landscape with instrumental prowess that allows them to stomp and slide between rollicking R&B to introspective storytelling. The band performs with a musical instinct and trust that only comes from years of performance. In addition to material from their first record, extended STS sets also include new songs from their upcoming collection "It Cuts Like Love" as well as the occasional, unexpected cover which is always presented with their unique interpretation. 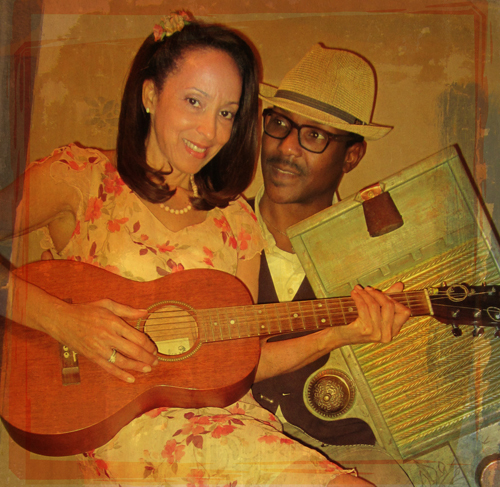 The PIEDMONT BLUZ acoustic duo is dedicated to the preservation of Country Blues and the Piedmont style and their mission is to help keep this rural, east coast tradition alive by educating audiences about this unique aspect of African American culture through musical entertainment. They have been entertaining audiences at venues along the east coast from Woodstock, NY to Richmond, VA and are much loved wherever they go. The husband and wife duo feel that "there are stories to tell, people to remember, and things that must be said" so, in addition to tickling your ears with delightful music, they weave a bit of history into the presentation of each song. The duo have performed at such venues as the American Folk Art Museum, ArtsWestchester, Hampton Acoustic Blues Revival, Howland Cultural Center, The Jalopy Theatre, Riverside Blues Festival, Washington Square Park Folk Festival, Cedar Beach Blues Festival and Brooklyn Folk Festival. They have also been guests on The Blues Break with Big Joe Fitz on Radio Woodstock, and on Wes Houston Presents on QPTV. Additionally, Valerie has performed at the Good Coffee House Music Parlor with Woody Mann and the Richmond Folk Festival with harmonica ace Phil Wiggins. The Last Hombres are five musicians on a musical journey with no set destination. They are seekers following the collective muse of their songs, and united by their individual perspectives. More than just a collection of players, they are a real band, with a sum that eclipses the parts. The repertoire is an amalgamation of dreams, poetry, and stories that together represent what The Last Hombres define as "the process." Trust the process, and the collaboration morphs from raw ingredients to powerful concoctions that are uniquely theirs, sharing these different views and styles with a passion for expressing hard life observations. 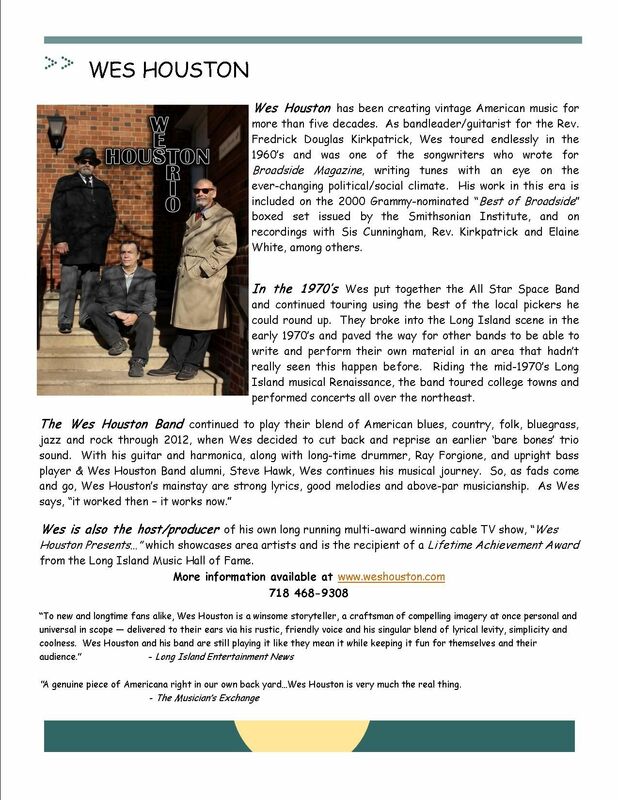 The songs are deeply literate and driving roots rock that express aspects of the American experience from a multitude of angles - Americana with muscle. It is as if they are on a road trip from Broadway to Bourbon Street, becoming more enlightened with every mile passed in their collective journey. Guitarist Paul Schmitz shares, "The Last Hombres has always been about the journey, the trip, the sights we see along the way, the people we meet. The fun part. I don't think we would recognize a destination even if we stumbled on it." 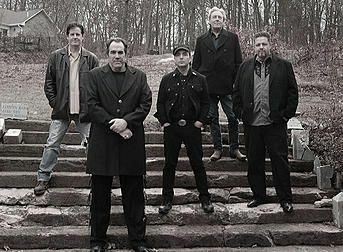 As they rise from the ashes, The Last Hombres offer fatalistic Americana that is overflowing with wisdom and insight, following a new muse as their journey continues. Everybody pays a price for the choices they make - or don't make. With both gravitas and humor, as the road twists and turns towards an uncertain future, they continue on their path, knowing full well that the beauty lies not in the destination but in the journey. 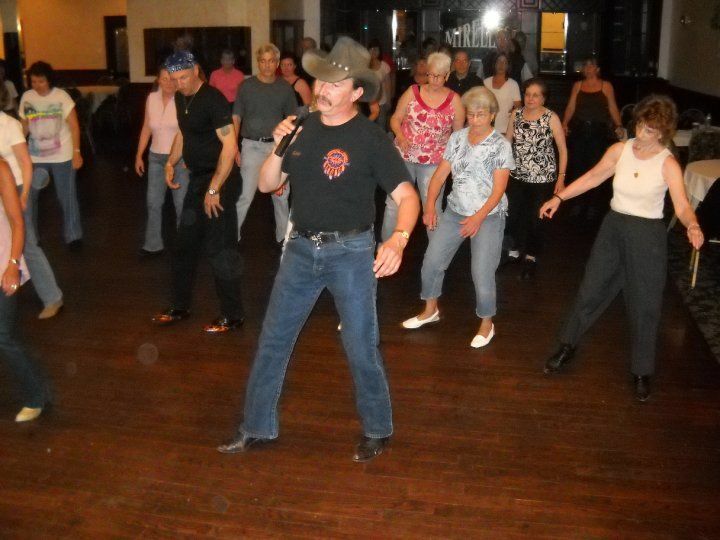 ALEX BATTLES learned to play country music by playing his tenor banjo along with Hank Williams records. His first performance on banjo - at a college coffeehouse c oncert - was a pastiche of Williams' material injected with a Steve Martin sensibility. After moving to New York, Battles began performing his blend of singing, songwriting, and storytelling with a band of musicians that came to be known as THE WHISKY REBELLION, an outfit measuring 1-7 persons depending on venue constraints and the weather. Alex Battles & The Whisky Rebellion have opened for Junior Brown, Dan Bern, and Teddy Thompson. 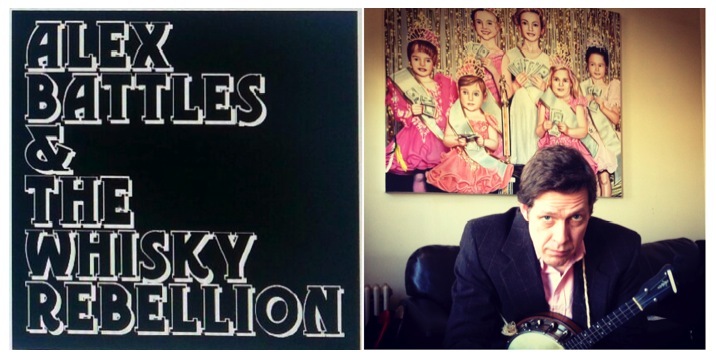 The Johnny Cash Birthday Bash has been the highlight of Alex Battles' Whisky Rebellion's career. Every year, they gather together with friends to perform the songs of the Man In Black. The Johnny Cash 82nd Birthday Bash will take place at The Bell House, February 28, 2014 - March 1, 2015. DUBI HANDI is guy/girl team Hilary Hawke and Brian Geltner named after the the Columbus Washboard company's musical washboard, Dubl Handi. 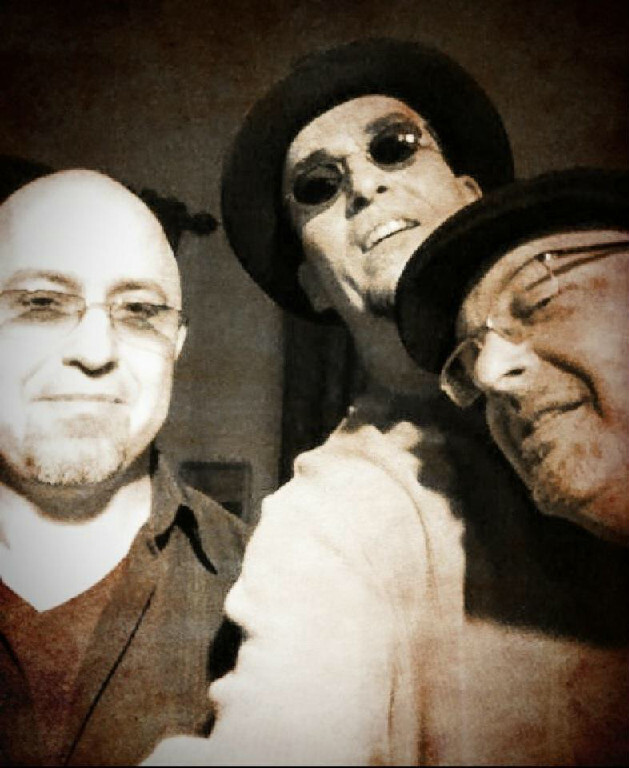 Recently joined by Jon LaDeau the group performs frequently as a trio! In the tradition of folk music around the world rhythmic groove is a pervasive thread. Dubl Handi uses percussion, drums, and banjo to play songs from Appalachian region of the Northeast States. Music has been part of the history of Long Island Cares, Inc. since the organization was founded in 1980 by the late singer, Grammy Award-winning songwriter and social activist Harry Chapin. Since then, as our region's very first food bank, Long Island Cares - The Harry Chapin Food Bank has incorporated music into many aspects of our operations. Several members of Long Island's music industry serve on their Board of Directors, many prominent musicians and performers - including Billy Joel, Peter Frampton, LL Cool J, Pat Benatar, Taylor Swift and Cyndi Lauper - lend their support as do major concert venues and festivals. Even student musicians have gotten in the act through our annual Practice-A-Thon, a unique program organized by local school districts in which students secure pledges for each minute they practice their instruments, donating all of the proceeds to Long Island Cares, Inc. - The Harry Chapin Food Bank. 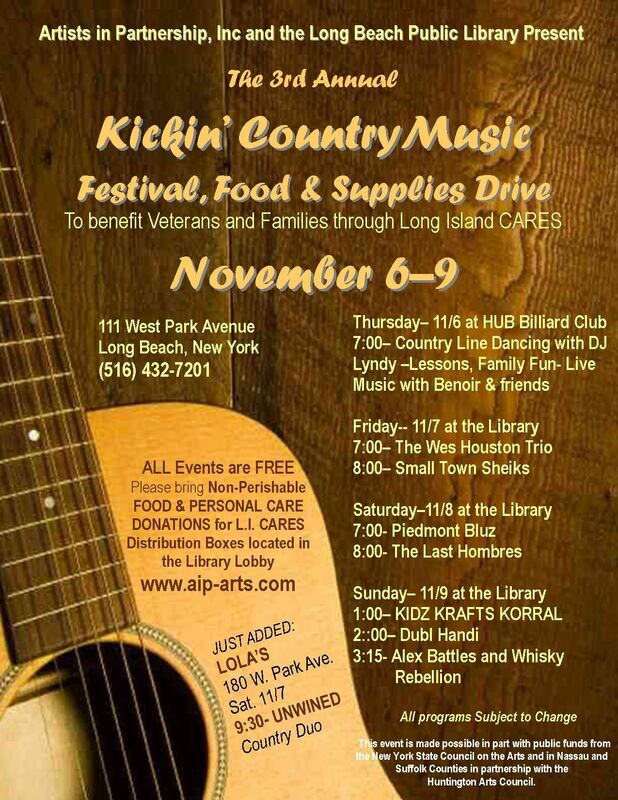 Now AIP can "Turn Your Music into Meals," too, by hosting the 3rd Annual Kickin' Country Festival to support Long Island Cares, our region's most comprehensive hunger assistance organization.